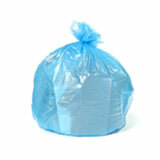 At 2.3 Mils thick, these extra heavy duty trash bags are seriously tough. 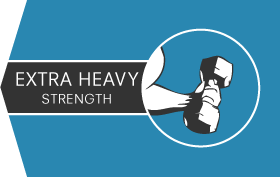 They’re made from Linear Low Density resins to offer you the ultimate in strength and flexibility. Load them up with your heaviest trash: thanks to the special qualities of this material they resist both tears and punctures, even when you’re tossing in sharp trash. Kitchens and warehouses are their natural habitat, but they are strong enough to take on garden trimmings and sticks if you want to give them an outing in the backyard. 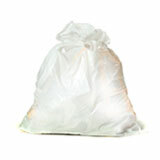 These low density garbage bags perform wonderfully as deluxe home trash bags or serious commercial garbage can liners. 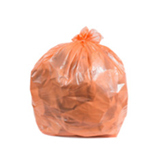 Heavy duty garbage bags like these can save you a lot of grief. 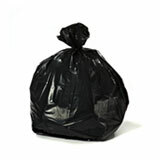 No more rips or tears when you drag them to the curb: thick trash bags can handle whatever you throw at them. 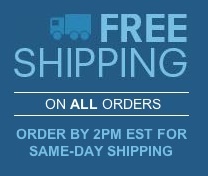 If you’ve never bought bulk can liners before, today would be a good day to start. Wholesale garbage bags just make sense. 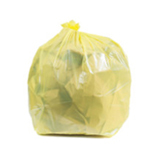 When you invest in heavy duty garbage bags, buying small quantities from the store can add up quickly. These 2.3 Mil thick trash bags cost much less per bag when you buy in bulk. You also get the added convenience of not having to restock constantly. 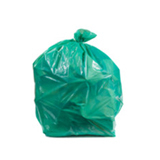 The best part about getting your wholesale trash bags from Plastic Place is the absolute peace of mind we offer when you order. 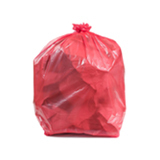 No one wants to get stuck with a case of ill-fitting garbage bags, and we make sure that will never happen to you. 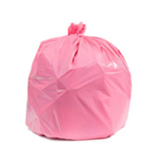 If you have any questions about which garbage bags are right for your home or business, our experts are more than happy to give you a personal consultation. 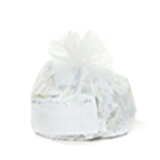 We’ll ship your bulk trash bags out the day you make your order, all of our trash can liners are protected by a 100% satisfaction guarantee.